Start small. Dream big. Adapt to change. Take chances. Any of these phrases, or a combination of them all, could easily be the title of the Hawk SCADATM story. The subtitle would undoubtedly be sprinkled with words describing the importance of nurturing business relationships and never losing the tenacity to move forward. Frankly, if this were the title of our story, it would be not unlike hundreds of other small businesses across America. Which is exactly why we’ve chosen not to use any of those words in the title of our story. And it’s also why we’ve not written our story by listing our growth in sales from year to year to reiterate how great we are (even though we are great). Instead, we want to share the more obscure details about our past – our challenges and how we pushed through them, and how staying focused on our customers needs led to our success. We want you to understand that we really are different than anyone else out there in our business. Because when you get that, you’ll understand that we will push harder than anyone else out there to solve your challenges, too, with the same innovative drive that has brought us to where we are today. Every family has a story to tell. Welcome to ours. The year was 1980. Olen Booth had just graduated from community college in Summit, MS, and moved to Starkville for his first year at Mississippi State. 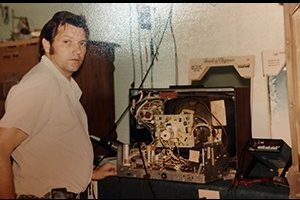 He split his spare time working at WMSV, a 10-watt radio station located in Lee Hall on campus, and in the back shop of Teletronics repairing TVs, VCRs and car stereos with his buddy, Rogers Gilbeaux. Two years later, Olen and Rogers would own a portion of the shop. Here’s how that went down. One afternoon in 1983, the boss and shop owner, Lit, approached the boys asking if they would be interested purchasing the service division of Teletronics. 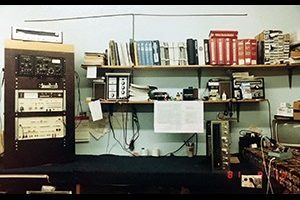 Knowing there was at least $5,000 worth of test equipment and other inventory laying around, they boys agreed, and went home that evening to devise a plan to pay for it. 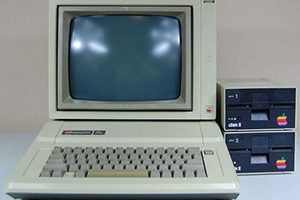 “We cranked up our trusty Apple IIe and, using VisCalc, worked into the morning preparing a detailed report of every speck of inventory — from each integrated circuit and transistor to every single resistor in the place,” Olen remembers. 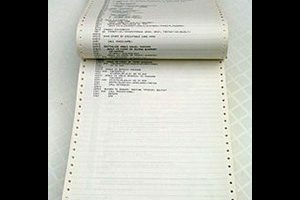 When it was finished and printed, the report was an inch of green-lined perforated computer paper. The next morning, the two walked confidently into the bank, sliding the report over to the loan officer with a confident smile. “I’ll never forget, he fanned it and looked maybe halfway down the first page then said, ‘I don’t want your transistors and resistors. I need something for collateral that I can take away from you and sell when this venture fails! 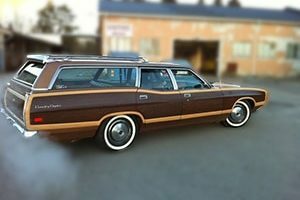 Either of you have a vehicle?’ ” Rogers, who drove a Ford Country Squire station wagon, backed up the business loan with his car. 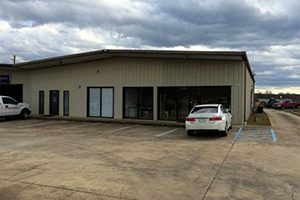 In a few days, the boys were proud owners of Electronic Service Center in Starkville. 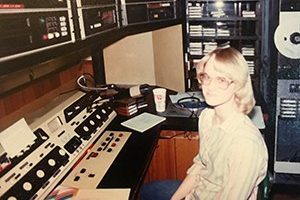 Even before they opened the shop, Olen was working as equipment engineer to several local radio stations, including WSSO in Starkville and Charisma Broadcasting in Columbus. By 1990, Rogers had moved on and another investor, Houston McDavitt, had stepped in. Olen, now with his BA in Engineering Technology, was engineering at almost 10 stations in the evenings. 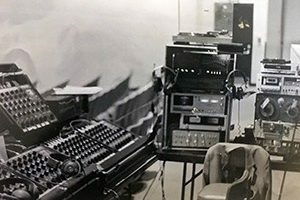 Once he accepted a full-time role at WKOR in Starkville, he sold his share of ESC to Houston, choosing to focus on broadcast engineering. Though some stations operate from the same studio, 10 stations still meant about six physical locations. And when a one would go silent, day or night, it meant driving there to get it back live. “There’s got to be a better solution,” Olen told himself. And there was. By 1992, he had engineered a plan that resulted in “The Hawk” – Hawk SCADA’s first remote monitoring system. It was a simple, DOS-based system that used a dial-up modem to a computer at the transmitter site. And it also collected data of these instances and other anomalies, which was used to pinpoint a frequency’s pain points and provide solutions to ease them. The Hawk grew to accommodate the special needs of many radio and television stations. They had decided from the beginning (and still believe) in creating a product unique to a customer versus packaging and selling “out of the box” solutions. As technology changed, so did the needs of their customers. Responding to these needs meant offering customized improvements to their product offering unique to each customer — which in turn resulted in a burgeoning customer base. Additional engineering technicians joined the team to help service the growing demand for their services. Then on December 16, 1995, Olen and his wife, Melanie, officially opened Innovative Engineering Services, Inc., changing the name a year later to Innovative Broadcast Services to better suit their target market. Climbing the ladder on rungs of opportunity. Over the next five years, radio broadcasting experienced a boon, which meant even more customer traffic and new challenges to conquer for IBS. By 2000, they were serving up the Hawk SCADA system to more than 150 stations in states as far away as Minnesota. Their reputation was strengthened even greater through trade publications, where they shared stories of successfully navigating through customers’ problems with solid solutions. The team at IBS remained diligent and responsive to the changing needs of their customers, incorporating new technologies and adjustments to their offering and forging new relationships throughout the industry. As the saying goes, however, all good things must come to an end. By the turn of the decade, the economic impact of a struggling automotive industry was taking its toll on broadcasting because of the large stake it held in radio and tv advertising. Other unfavorable factors were emerging, like the digital disruption that was already starting to negatively affect other forms of traditional media — bringing uncertainty to the future of the traditional AM/FM station. Adjustments would have to be made, and the team at IBS were busy doing what they did best, looking for solutions. One of the most significant adjustment in IBS history began with an ordinary phone call between Olen and a former coworker, who was now serving on the board of a municipality in south Mississippi. Following the usual, “How’s your mamma and them” talk, the friend began telling Olen that he felt there was great opportunity in water plants for the Hawk SCADA technology to monitor and control the chlorine and other additive operations. It was a door of opportunity IBS entered with great enthusiasm. In 2010, the company not only relocated their headquarters to their current location on Lynn Lane in Starkville, but also dove head first into the water and wastewater industry, introducing the Airhawk remote monitoring technology to their first four clients: Pearl River, Centerville, Lewisburg and Clayton Village – all of whom they still serve today. You’re not growing unless you’re learning, and at Hawk SCADA, we have no plans to stop growing. We are committed to learning something new every day — both from each other and from our customers. Our crew meets every Monday morning to share where we’ve been the week before and any insights that may help someone else with where they’re going that week. Our team is our biggest asset. And when it comes to learning from our customers, the lessons have been invaluable to the success of our company. Responding quickly – dropping less-significant tasks to focus on their problems, has built strong partnerships that are at the foundation of our business. We have remained innovative not by just introducing new products, but by listening to the unarticulated necessities of our customers – spending time observing them, assessing their situations up close and turning what we learn into tangible solutions. We do not just sell products. Instead, we think outside the box and provide affordable, customized solutions tailored to each customer’s needs. This has worked for us and has obviously worked for our customers, too, as customer retention at IBS/Hawk SCADA is above 97 percent. So, while our growth may be measured in numbers on paper, we don’t think of it that way. Because our customers are not numbers; they’re people. And we’re in the people business. We will continue to define our success based on building relationships – one system at a time – and strengthening these relationships in the years to come.